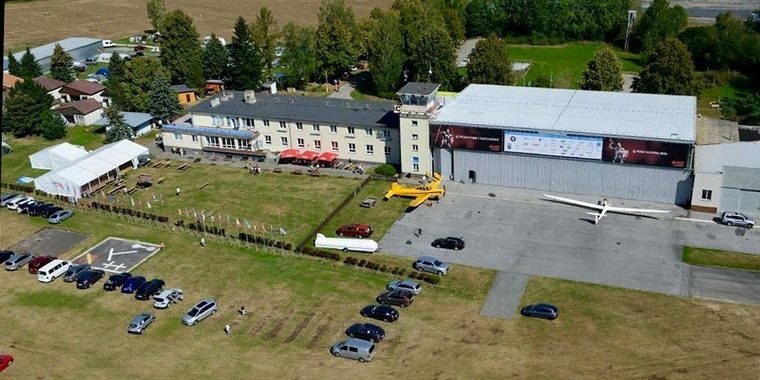 Six South Africans, Atitieand Uys Jonker, Oscar and Laurens Goudriaan, Nico le Roux and Dolf Pretorius competing as individuals took part in the 35th World Gliding Championships 2018 held in Hosni, Czech Republic and in Ostrow, Poland. Competitors in Ostrow, Poland. Photo © Marta Wolff. 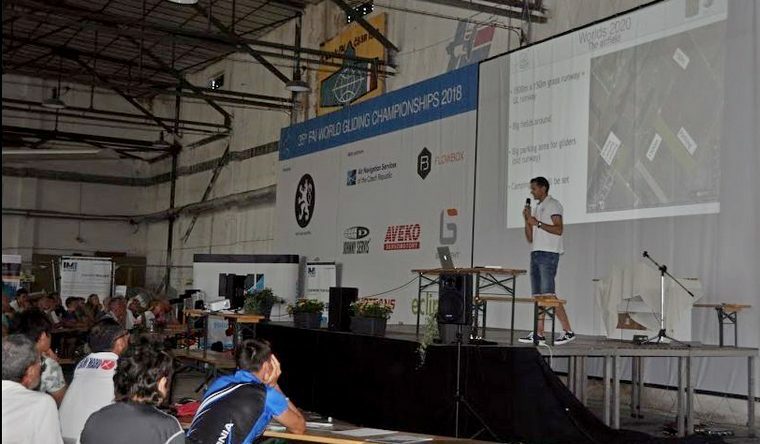 Poland hosted the Standard, 15m and Club Class whilst the Czech Republic hosted the 18m, Open and 2 Seater Class. The South Africans all flew in Jonkers locally designed and produced sailplanes. 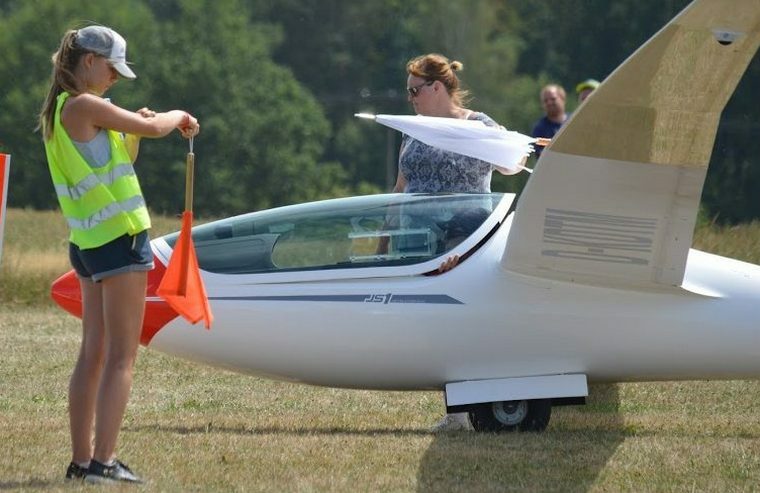 Attie and Uys Jonker flew the JS1C-21s s in the open class whilst the Goudriaan brothers Oscar and Laurens competed in the 18 metre class in JSC 3s in the Czech Republic. Attie and Uys flew the JS-3's in the 15m class in Poland whilst Nico and Dolf flew the LS-8s in the Standard class. The Championships at Hosni, Czech Republic. 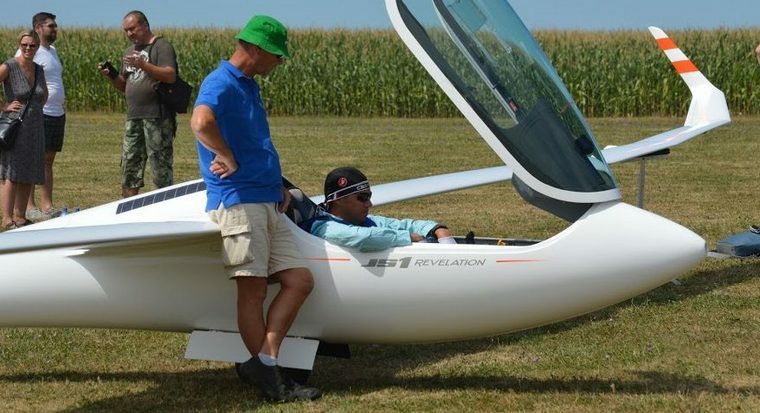 For almost three weeks Hosni was the centre of the world of gliding. Modern technology made it possible the view the races (that took place in the air space of four countries), briefings, scoring and closing ceremonies live. More than 1,200 flights were made from Hosni. Competitors in total flew more than the distance from Earth to Moon during the contest (contest 415.000 km + plus something in the training) and spent almost 37% of the year in the air (during contest almost 3,300 hours were flown). 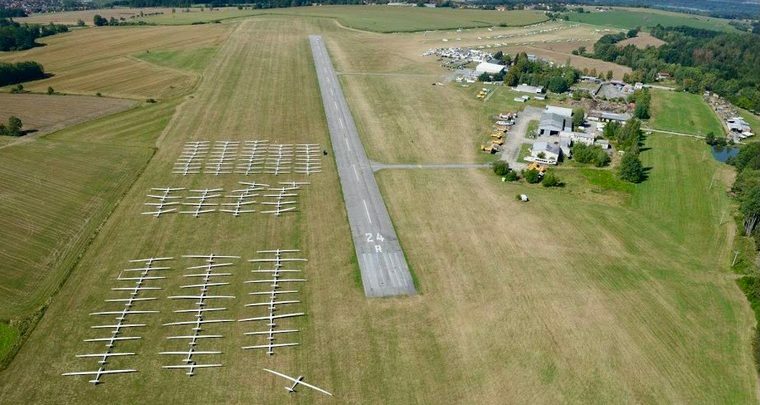 Approximately 110 tons (110.000 litres) of water were used to fill the gliders whilst the tuck aircraft consumed more than 16.000 litres of JET A1. Except for a rest day and one cancelled task all days of the tournament were flown, accumulating to a total of 12 tasks. There were some very hot and humid days with temperatures reaching 30 degrees plus. Some days launching was delayed, leading to shorter tasks. The pilots also experienced the odd few days where engines were required and out landings were plentiful, but overall the weather was just fantastic. The Open class entries were dominated by JS1C-21s, Jonkers's flagship. Out of 31 competitors, an impressive total of 18 pilots flew Revelations. Seven JS1s made the top ten and seven out of the twelve competition days were won by JS1 pilots. Finally, the podium belonged to the EB29R pilots, making the EB 29, with its incredible wingspan, officially the glider to be beaten in the open class. After 12 competition days the scores were added and the new world champions in the 18m, 20m and open class were revealed at a lavish ceremony. The top pilots in every class gained more than 10.000 points. Nico le Roux with 5624 points finished in 25th and Dolf Pretorius with 4727 points 39th. Attie Jonker with 5669 points was placed 20th and Uys Jonker with 5296 points 17th. Oscar Goudriaan with 9626 points finished in 9th place and Laurens Goudriaan with 9396 points in 14th place. AP Kotze finished 20th ans Uys Jonker 12th. The South African's did us proud, finishing 6th overall out of 27 nations in the team cup.